Are you in search of the best way to advertise your event, business or political campaign? Well, you can take advantage of yard signs for the best results. Also called coroplast or bandit signs, they are cheap and affordable enough to help you inform customers about your business, promote an upcoming event or advertising a certain political candidate. ImageTEK Signs & Graphics will provide you with quick and affordable yard signs for whatever purpose you need. We have top-notch equipment and the best manufacturing processes to create your yard signs and any other promotional materials. Call ImageTEK Signs & Graphics today at (201) 351-8755 for your Free Consultation with a Yard Sign Specialist! 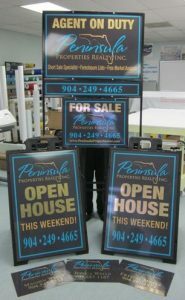 Regardless of your business niche, you can always incorporate yard signs into your marketing strategies. We will come up with the most eye-catching, unique and innovative yard signs to boost your branding efforts and increase customer traffic especially for service businesses, non-profits or retail stores. You can use yard signs for any of the following needs. We are a renowned sign shop ready to create and customize yard signs for your needs. Do you have an idea in mind? We can help you make it real and print it out as soon as possible. We provide quick turn around depending on what our clients request. ImageTEK Signs & Graphics has the knowledge, skills, and tools to handle anything regardless of the size or magnitude of your project. If you want full-color signs or single color prints, we can provide high-quality results very fast without using more than the budgeted money. 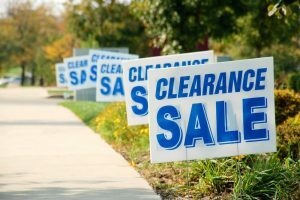 Real estate agents use yard signs mostly to promote any business available for sale as well as listed homes for sales and those available for viewing. Yard signs will give extra information and help you market your brand, especially if you use brochures and flyers as well. 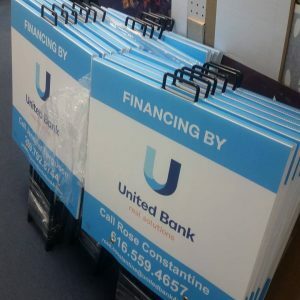 ImageTEK Signs & Graphics can come up with customized and eye-catching sign holders for real estate agents and additional signage such as storefront signs, lobby signs and outdoor banners. Yard signs are often used during the election season especially because they are very portable and affordable. Aspiring political candidates use them effectively to inform their constituents of their political stance. They are very easy to use and are often given out during rallies or people can visit the campaign websites and order online. The political candidates, as well as their supporters, can hand out the signs when visiting various locations. It’s a good way to boost the recognition any political candidate and of his/her brand. Online ordering can be a long process and longer delivery times, additionally, you have to wait until your signage is delivered before you know of any mistakes you may have made. ImageTEK Signs & Graphics is the local signage shop that will provide you fast delivery and the assurance that your sign will always be right. You can use our simple and effective yard signs for your campaigns, advertise an upcoming event or promote your business.